AMV League Season 5 News Thread - New Form for Requesting Scores! Last edited by Pathos Prime on Sat Dec 15, 2018 1:20 pm, edited 6 times in total. #13 - "Dentelle" by Iren S.S.
Last edited by Pathos Prime on Tue Sep 25, 2018 3:07 pm, edited 2 times in total. We think it's time to retire that old thread that has served us well the past three years. 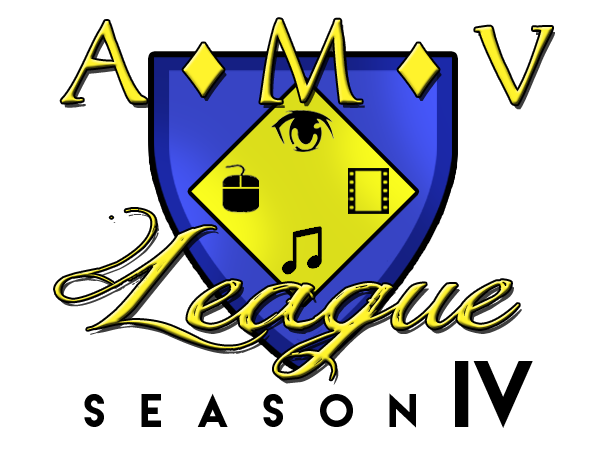 Because AMV League Season 4 is here, bigger and better than ever! And we've listened to all the feedback we've gotten from editors, so with the new season comes new rules - meant to make this the most amazing year of AMV League yet! 2. We understand that the whole "one shot" nature of AMV League has a tendency to make some editors reluctant to submit, so in addition to Best Action, Best Drama, and Best Fun/Upbeat, we will be sending one Honorable Mention from each contest to the Nationals as well. The Honorable Mention will be defined as "the highest scoring video that did not win a Best in Category award." In addition, the two "Wild Card" videos added to the Nationals at the end of the year will no longer be chosen by us, but will be the two highest-scoring videos overall that have not yet made it into the Nationals. Between these two rules changes, we feel that it will remove some subjectivity from the contests and make it more fair to editors - good videos that score well will rise to the top, even if they were unlucky enough to be submitted to a crowded contest. 3. HUGE! CASH! PRIZES!! So, remember how we used to send certificates to every AMV League winner? And remember how quickly shipping those things around the world bankrupted us? (Seriously, sending a package to Brazil is expeeeeeeeeeensive.) Well, we've found a solution. Each Best in Category Winner from an AMV League Event will now receive a $10 Amazon e-Gift Card! Honorable Mentions will receive a $5 Amazon e-Gift Card. These can be sent electronically, eliminating the need for packaging and shipping a physical item. Ok, $10 isn't a HUGE cash prize, but we think it's a nice pot-sweetener. There will be a bigger prize for winners at the Season 4 Nationals this year, but we're still working out with San Japan exactly what that prize is going to be. 4. We are eliminating the X-Factor judgment criterion to remove more subjectivity from the equation. "Special Effects" has reverted to "Technical Prowess" and will now include video issues such as aspect ratio, encoding, and rendering. 5. Finally, our scoring system is changing - each category will now be out of 20 points rather than 10. This will allow for more fine tuning when it comes to judging, and make it so minor flaws no longer knock a whopping 10% deduction out of a video's category score. We look forward to seeing everyone at the Org excited about AMV League Season 4, and we can't wait to see all your incredible videos! Hey League Fans - When you get a chance, pop over to our newly updated Browse All Entries page! We've got a nicer, easier to read, easier to sort spreadsheet in there that will allow all of y'all to see at a glance what videos you've submitted, popular (and occasionally overdone) ideas and combinations, and find that one video that you know you saw somewhere but can't remember where. Search by AMV Title, Editor, Audio Source, Audio Artist, Animation Source, Contest, and Season. Wow, haven't seen THIS in a while. But we've got some Nationals-related news here! We've gone through our pasts scores and found our two Wild Card videos - the two highest scoring videos among all non-winners this Season. In other news, with these two wild cards and the four winners from San Japan's qualifier tomorrow, we have a whopping FIFTY videos qualifying for this year's nationals, which altogether add up to roughly 3 hours of footage... which we only have two hours to show. Which brings me to the bad news - We're only gonna have time to show the top 25 videos in the Nationals in their entirely. We've put together a montage of the 25 videos between #50 - #26, which we'll be showing before the top 25. Geez, that is crazy to look at all at once. What an awesome year !! Thanks for the spectacular time and for all of the effort you guys put into the events! This is pretty darn cool ! And Season 4 is finally in the bag! Check out the (largely unexpected) winners from this year's AMV League Nationals! Congratulations to all who made it through! Re: AMV League Season 5 News Thread - SEASON 5 BEGINS! 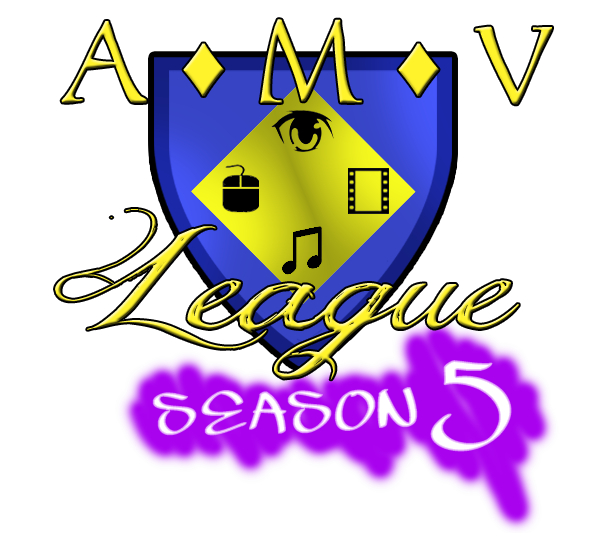 AMV League Season 5 Begins Now! We've got two big changes to announce for Season 5! First off, some of you may have noticed that AMV League has grown so much that we had a whopping FIFTY videos qualify for this year's Nationals, meaning that we only got to show about half of them. So what we're doing this year is making AMV League into a three-tier tournament! We're dividing our events into Western and Eastern Divisions, and videos that win Qualifier events at the individual convention level will now move on to the AMV League Regional Championship for their Division, and then the top 10 videos from each Division will then move on to the AMV League Nationals! This year's Eastern Division Regionals will be held (along with a first-time AMV League Qualifier) at AkaiCon in Nashville, TN next July! 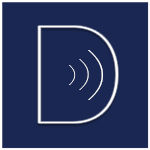 The venue for the Western Division Regionals will be announced once that's finalized. The Nationals will be held at San Japan on Labor Day weekend, as always. We're looking forward to seeing all your amazing videos and to making AMV League bigger and better than ever! Re: AMV League Season 5 News Thread - ANNOUNCING OUR SPECIAL GUEST JUDGE FOR THE NATIONALS! For the first time ever, AMV League will have a special guest judge for the National Championships! Legendary AMV editor and San Japan guest MowtenDoo, creator of such great videos as "Nichismoke" and "Blend W," will be working with us as a third judge at the AMV League Nationals in San Japan this year! Re: AMV League Season 5 News Thread - New Form for Requesting Scores! So if you want your AMV League scores, fill out that form, since PMs and emails seem to be getting lost or forgotten. I don't know why I didn't do this before. CAVEAT: It SEEMS to work, but like everything else I shoddily frankencode, something probably broke that I don't know about, so let us know if you go TOO long without getting them. Getting errors on the first request FYI. Why not give out the scores automatically after each contest? Just keep them in an excel file, collapse with a filter, and copy and paste? Not to be a wet blanket, but I've been asking for feedback for a month and it ends with no replies after three requests, but a roundabout way of asking me to submit forms for each video? Wouldn't a CTRL+F in a master document for handles be easier? This just seems like so much process without a concrete promise of speed in return. We haven't had time to do anything between con after con for the last couple months. We've got one more coming up in a couple weeks (Ohayocon) and then (unless we get some unexpected bookings) we're doin' nothin' til May. We're currently planning to catch up on a lot we haven't been able to do between cons and life in that hiatus, like send out prizes (yes, Yamacon winners, we are aware you haven't been paid yet) and scores. The form makes it so when we DO have time to get scores out to people, we have a handy dandy convenient record all in one place of who needs scores, what videos they need scores for, and - also importantly - who asked first and has been waiting the longest? We know everything has been a mess. The form will hopefully make things less of a mess in the future. So we know that you can't request scores for Ikkicon yet. That is a New Thing and I sort of forgot that I now have to update this every time too. Not that it ended up mattering because as it turns out the entire form was broken and didn't work anyway because I am in no way a professional web designer and I am making this aaaaaaall up as I go along. We've got it fixed, we think, and we're planning on uploading the fixed form on Saturday, during the scheduled update announcing the results for Ohayocon. 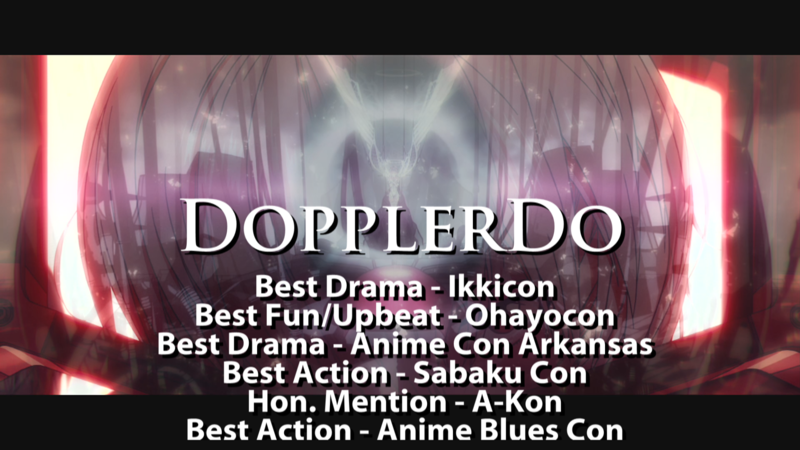 And both Ikkicon and Ohayocon should be on the list. In the meantime, starting this Monday (once the fixed form is up and we're back from Ohio), send in all your score requests. We plan on getting a bunch of those tackled now that we've got a few weeks between events.